Every so often it's important to step back and see things from a fresh perspective. In our day-to-day lives this can be hard. Luckily the transporting power of video is always there to show us new places, people and ideas. All the videos in this week's Video Worth Sharing put a new spin on old ideas. They're thoughtful and memorable. Enjoy the change of view — and don't forget to always keep expanding your horizons. Have you ever thought about those with differing opinions on parenthood like rival gangs looking for a reason to scrap? You will now. This is a perfect blend of humour and emotion with a powerful message underneath it all. 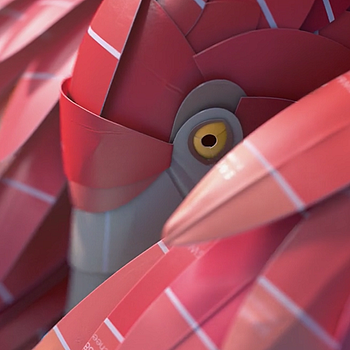 This gorgeous, fluid animation brings colour swatches to life. Just watching makes you feel a rush of excitement and newness — which is exactly what customers want when opening a fresh tin of paint. Emotive advertising at its best. Building on the success of campaigns from the likes of Boots, Selfridges takes things a step further with this intriguing mini-documentary. It's beautifully shot, as if in a boudoir, and it succeeds at provoking thought and generating conversation.